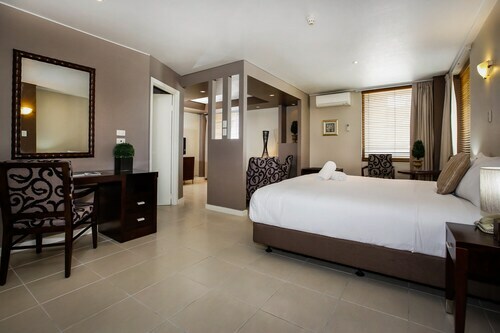 Located in the heart of Townsville, this hotel is within 1 mi (2 km) of Catholic Diocese of Townsville, Queens Gardens, and Townsville Entertainment & Convention Centre. Castle Hill and James Cook University are also within 9 mi (15 km). Townsville Station is 16 minutes by foot. Situated on a river, this luxury apartment building is within 1 mi (2 km) of Maritime Museum of Townsville and Magnetic Island Ferry Terminal. Perc Tucker Regional Gallery and Museum of Tropical Queensland are also within 10 minutes. Townsville Station is 23 minutes by foot. 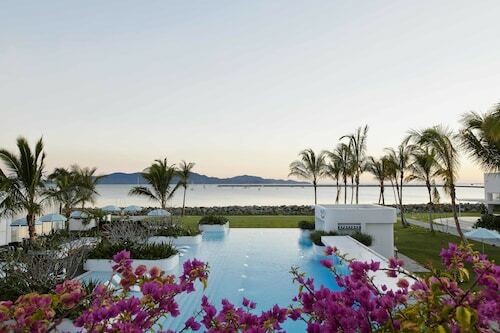 Situated near the airport, this luxury hotel is within a 10-minute walk of Magnetic Island Ferry Terminal, ReefHQ Aquarium, and Museum of Tropical Queensland. Maritime Museum of Townsville and Queens Gardens are also within 2 mi (3 km). 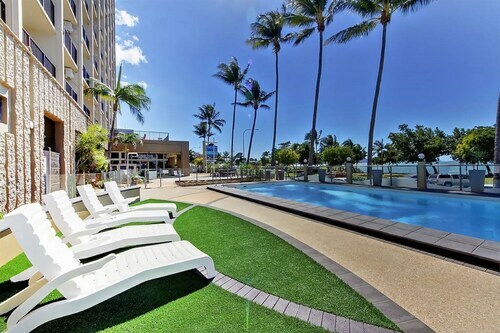 Situated near the beach, this luxury apartment building is within a 15-minute walk of Maritime Museum of Townsville and Perc Tucker Regional Gallery. Museum of Tropical Queensland and Cultural Centre Townsville are also within 1 mi (2 km). Taking the time to visit Sunshine Coast? Be sure to stop by and explore the Shelly Beach neighbourhood, situated 40 kilometres south of the middle of the city. Do you want to visit Sunshine Coast? Enjoy time in town discovering the sights, like the Australia Zoo. Nothing compares to the joy of watching seabirds gliding on the breeze. Make sure you stop by Moffat Beach. Want to rest your head near this place? Check the rates at the Aspect Caloundra and Rumba Beach Resort. Reset yourself with an afternoon out at Kings Beach. Bring some friends, and enjoy the sun! For this spot, try the Sails Resort on Golden Beach and Gemini Resort. Have a hard time getting much done without a morning coffee? You'll be relieved to know Shelly Beach boasts some great cafes. The Coffee Club Rumba is a local favourite, offering a mouthwatering range of hot drinks and tempting snacks. Once the caffeine kick fades and your belly starts craving something a bit more filling, head on over to Oaks Oasis Resort. This well-loved eatery plates up some seriously tasty meals. And of course, you haven't truly experienced Shelly Beach until you've rubbed shoulders with the locals at the neighbourhood watering hole. Here, Kings Beach Tavern is the place to go. If you can't find the right Shelly Beach room, it is worth checking out the accommodation options in Moffat Beach and Kings Beach. Some spend their whole lives making plans. Don't let this happen. From flights and hotels to car hire and activities, Wotif will make your Shelly Beach daydreams into realities. How Much is a Hotel Room in Shelly Beach? Hotels in Shelly Beach start at AU$98 per night. Prices and availability subject to change. Additional terms may apply. Convenient central location, 24 hr check in, no need to use lifts. One danger is the traffic island on the approach - no markings of any type in the dark. It has been like this, off an on, for years. Great location. Awesome view from the room. Convenient to restaurants & bars.